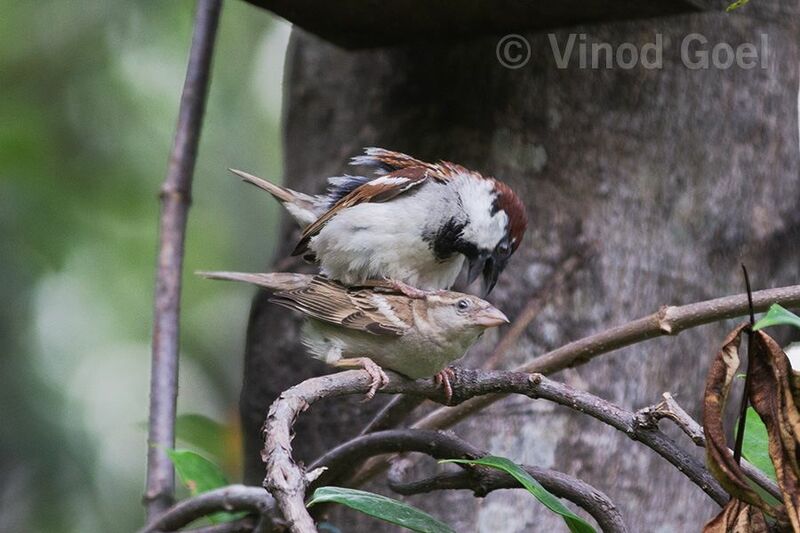 In big metros people are missing house sparrows which used to be a common sight early in the morning in each house hold, in courtyard and house garden. However, for the last so many years, as they have moved out because of destruction of their habitat in and around our houses, construction of towers for the mobile phones without which we appears to have become dead. On reaching some body’s house for social gathering or purpose we first see whether our mobile is charged. If not we first plug in for charging the same. In order to save them, Delhi Govt. has declared sparrow as State bird of Delhi. For quite sometime I was interested in recording their courtship /mating. I remember I saw it many years back when they were seen but as a birder it was missing from my treasure . Last month I was in Dehradun and staying at #Shaheen Bagh . Since the place is so heavenly I thought of spending time at the property. A birder can not close his eyes and always thinks of seeing something new. The eyes searched what they wanted . 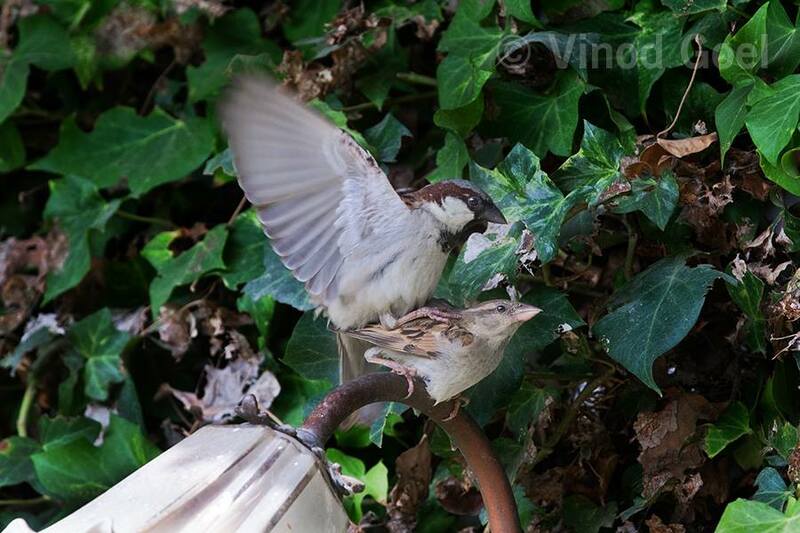 Yes I saw and observed the mating of the House Sparrow. I could record it on the light lamp on the wall covered with lovely creepers. It appeared as if they are expecting a NEW LIGHT in their family. As a nature conservationist, I feel that we have to take all measures so those sparrows again come back to urban environment. Further, we have to ensure that the birds such as Red-vented Bulbul, Myna, Crow, Woodpecker, Owl, Parakeets, Asian Koel, Common Hoopoe, Kingfisher, Peafowl do get protection, in some way or other. They have been associated to humankind from time immemorial. By saving the birds around us, means “we are saving the nature”. Enjoy the images taken on 23rd April 2018 at Dehradun, in the State of Uttrakhand.